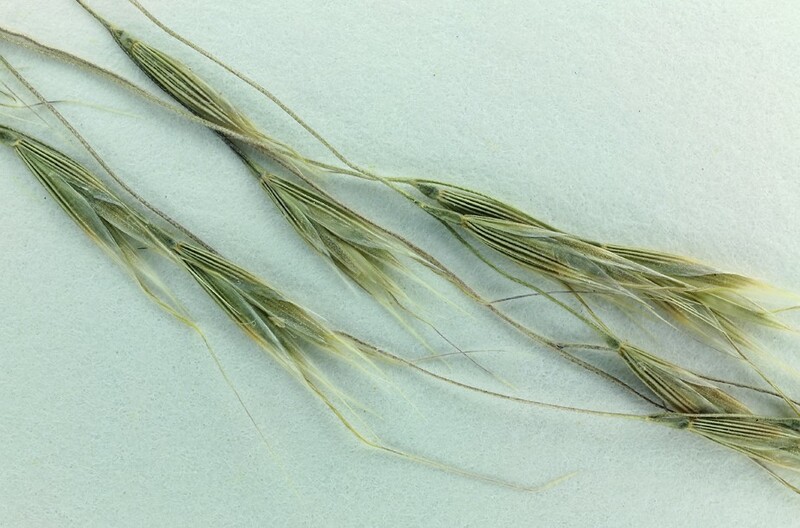 Ventenata dubia (North Africa grass) is an annual grass (family Poaceae) that can grow to be more than 1 foot tall and is found in the coastal and inland ranges of northern California. It is native to central and southern Europe. It occurs in grasslands. It reproduces via seed. The long awns attach to humans animals and machinery.